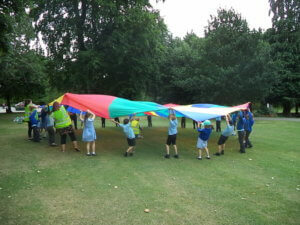 Year 1 have been on a trip! 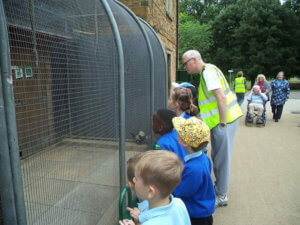 Year 1 had a great day at Abington Park Museum. 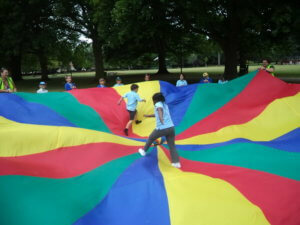 We had fun playing parachute games, football and other team games. 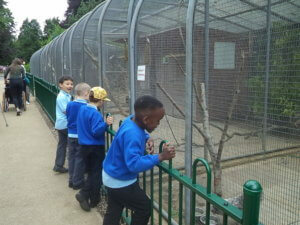 We all went to visit the aviary and enjoyed spotting all the different types of birds. The museum had so much to look at: things made of leather, old and new household items, an old classroom and old toys. We had a workshop with Catherine, a lady from the museum. She told us about all the different materials that old toys were made of, mainly wood and string. We even got to play with some of them. One of them was one the very first televisions called a Zoetrope. 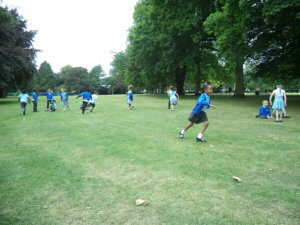 We managed to miss the rain and came home full of fresh air! Having a rest after fun and games in the park!